Navratri is the most famous as well as auspicious festival for Hindu devotees. The nine days and nights are dedicated and wholeheartedly devoted to the mother Goddess. This joyous occasion is marked with various beautiful rituals, traditions and prayers. The most popular and attractive aspect of this energetic festival is the “Dandiya”, a dance form that manifests happiness and playfulness. Though it is believed to signify the battle fought between Goddess Durga and Demon King Mahishsura, Garba also finds links with the Raas, an amorous dance form said to be practiced by Lord Krishna. 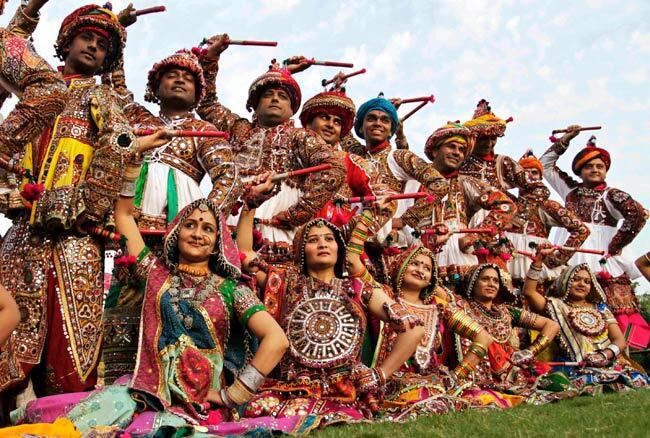 In case you are organizing a event in this festive season, planning a Dandiya Night could be a worthy idea. 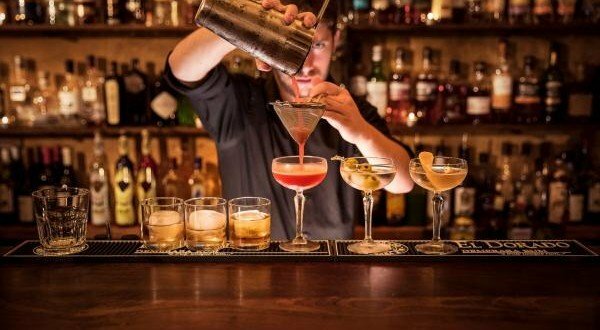 To arrange an exceptional party you will need some out of the box ideas. A great party will ensure that everything is pre planned and will lead to maximum fun during the night. 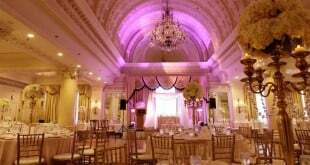 If you desire to organize a scintillating and exceptional Dandiya night, you ought to take care of a few things. Send out the most creative, beautiful and fully decorated invitations with glitters, sequins, golden or silver pens, colorful threads, flowers and glossy paints. The best way to design the invitation is to send out your deepest regards. You can also select a nice e-invitation to reach out to your distant relatives or friends conveniently. Don’t miss out on mentioning about the dress code on your invitation cards. The dress code should be sparkling garba attire, common to all the guests. Traditional attire is the best for the night. Girls should be dressed in lovely lehengas and boys in traditional salwar kameez. The guests should be given option to bring their own dandiya sticks or you can distribute the same. 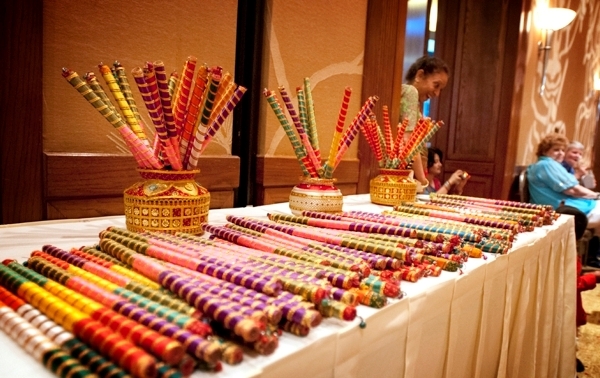 The dandiya sticks can be decorated with small jingle bells or ghungroos. 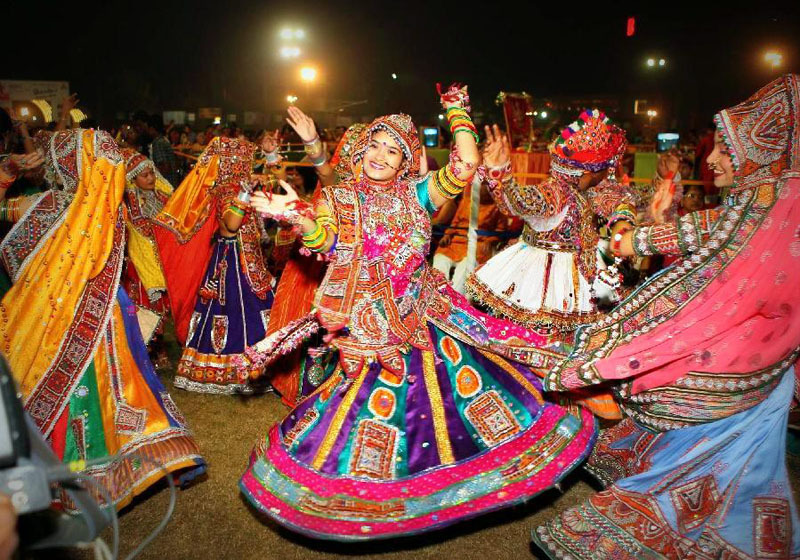 Deciding upon your Navratri venue and Theme is very essential. The theme should focus on boosting and bringing in a lot of energy to the event. The event should be based on an enthusiastic theme, such that it stimulates the guests and keeps them involved in the various dynamic activities organised for the event. Don’t miss out on a huge dance area for your venue. 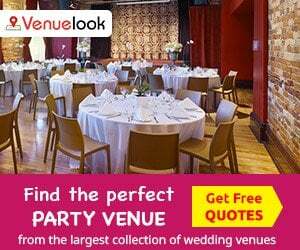 The decoration of your venue should be in congruence with the theme of the party. 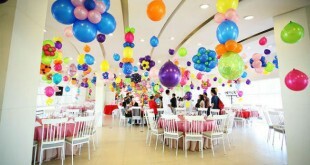 If you have an open space, try to decorate whole of it with colorful tents in different styles. Decorated candles are perfect to make the occasion even more beautiful in most sophisticated ways. Undoubtedly, the amusing candles add an extra element of glow to the theme of your party. It certainly boosts the ambiance as well as the mood of the guests. 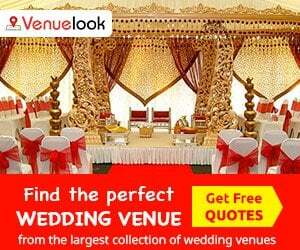 Choose the tents, candles, flowers, lights that will add vibrancy and festivity to your event. 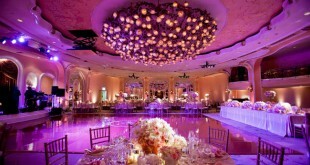 Certainly, you will never miss out on decorating your venue with the most beautiful flower arrangements. Further, dazzling rangolies can be prepared with the help of colored lentils, monochrome flowers or powdered glittery colors at the entrance or some other places. 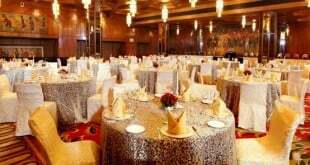 You can use golden and silver theme or some other fascinating themes to decorate the chairs and table tops. This will create an elegant ambiance for your dandiya night. The frenzy of dance and music will set the tone for a perfect & elegant evening. Soft folk music with speakers and woofers should definitely be used so that the night reverberates with the melodious beats and songs. A get together with friends and families for a dandiya night with ever embracing and soothing sounds of Ravi Shankar’s sitar being played as the background music could be a treat to the ears. Your dandiya fest will be incomplete without delicious Navratri dishes. Prepare a simple vegetarian menu for the guests with loads of yummy sweets. You can opt for a local caterer online that can provide you with the type of food your guests may prefer and relish for a long time or Book a Well-Known Food Stall to add a Brand Value to your catering Menu. It is imperative to engage your guests. You can organize a couple dance competition, lucky draws or turban tying competitions to create interest among the audience. Also, renowned singing bands, celebrities, comedians or dancers can be invited to the event to make it a fun affair. 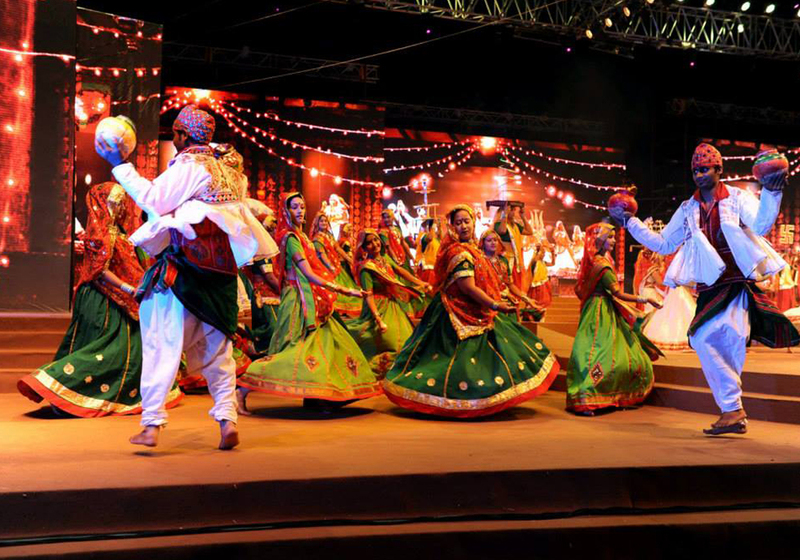 Even a Garba dance competition can be organised which can be judged by some renowned personality. These activities will spice up the event while adding a tinge of traditionalism to the fest. 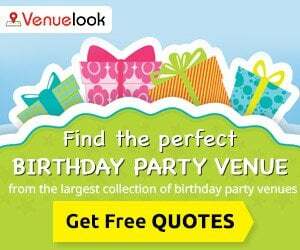 Inviting a celebrity will surely enthrall all the guests in the party. As there would be plenty of memorable moments that you may like to capture, do not forget to arrange a professional photographer for your lovely occasion. So go ahead and have a magnificent dandiya night party and share a few wonderful pictures with us as well !